The common cold can be such a nuisance. We’ve suffered from colds in our house that dragged on for weeks. But that was before we wised up to eating for a healthy immune system, and using natural remedies to heal our bodies. 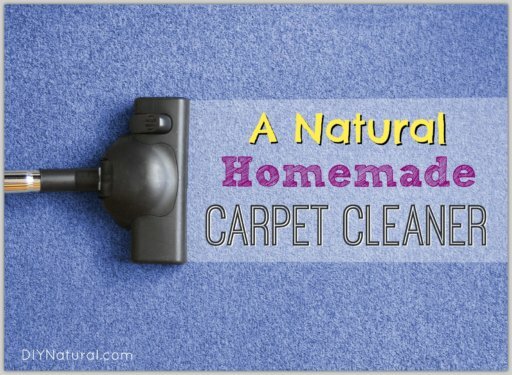 Now at the first signs of a cold we can normally knock it out with one of our favorite natural treatments. Even if the cold does persist, the duration tends to be much shorter when we really listen to our bodies, feed it real food, use natural remedies, and get plenty of rest. If you’re suffering from cold symptoms right now, give our remedies a shot and we hope you’re feeling better soon! We’ve talked before about the amazing health benefits of honey. But did you know that compounds like flavonoids and phenolic acids found in honey are thought to destroy the viruses that cause the common cold? Honey’s antibacterial and antimicrobial properties can help boost the immune system and shorten the duration of a cold. Honey is also great for relieving sore throats and suppressing coughs. But skip the honey from the grocery store. Instead, look for raw unfiltered honey that still contains all the beneficial compounds. Raw honey from a local beekeeper is best, but if it’s not available in your area you can find it online here. During a cold we like to put honey in tea, add it to our ACV health drinks, or even eat it straight off the spoon. Note: Due to the danger of infant botulism, do not give honey to children under one year of age. This vitamin plays a large role in boosting your immune system. Studies have shown that supplementing with Vitamin C can help shorten the duration and reduce the severity of cold symptoms. (source) Too much Vitamin C can cause stomach cramping and/or diarrhea, so it would be wise to start out with a little to see how your body handles it. I can take about 750 mg of powdered Vitamin C in a health drink, while Matt’s body can withstand closer to 2,500 mg. We take it a few times per day when fighting a cold, and it definitely makes a difference. You should also try to eat whole foods such as citrus fruits, broccoli, raw milk (Vitamin C is destroyed by pasteurization), and bell peppers, which are some of the best sources of Vitamin C.
Oil of oregano is a unique remedy that can heal a host of ailments. It contains chemical constituents that give it antibacterial, anti-viral, anti-fungal and antioxidant properties. Oil of oregano has been found to boost the immune system, fight pathogens, act as a natural antihistamine, and provide many nutrients important in healing from illness. You can find a good oregano oil supplement here. We have found the best way to take oil of oregano is to add a few drops to 1 ounce of orange juice and swallow it as quickly as possible. You can chase it with a little more juice or water or eat something small immediately after taking. Read more about oil of oregano here. Note: Oregano oil is NOT generally considered safe for use during pregnancy. It’s a good idea to ramp up the humidity in your house in the dry, colder months. There are actually a few reasons for this. When relative humidity drops – as it does in the winter months – this means our indoor air is dryer. Viruses that cause the common cold actually survive longer in dry air, making it harder to rid your home of the virus. In addition, lack of humidity will dry out mucous membranes, keeping them from doing their protective work in our bodies. Viruses and bacteria can more easily enter mucous membranes when they are dried out. (Read more here.) Running a humidifier can help relieve congestion and soothe sore throats – especially important for children who can become easily congested due to smaller nostrils. We have (and love) this humidifier that can also be used to diffuse pure essential oils. Including ginger in your cold-busting regimen will also be a smart move. Ginger is a natural anti-viral food that can help fight off illness. It stimulates the immune system and warms you from the inside out. Use fresh grated ginger in a hot tea with honey and lemon, top a salad with it, or use it in a stir fry. There is a reason chicken soup has been known as a cold remedy for centuries. Homemade, old-fashioned broth was made by slowly simmering animal bones in water until all the nutrients had been released into the broth. The curative properties of broth have actually been studied by researchers at the University of Nebraska Medical Center in Omaha, and shown to have anti-inflammatory properties, perfect for relieving cold symptoms. Broth can be made at home for pennies, using the carcass from last night’s chicken dinner. It is important to use bones from animals that have been raised on pasture without any antibiotics or growth hormones. See our simple instructions here on making a delicious bone broth at home. If you’re not up to making your own, you can purchase real organic bone broth here. You can sip on plain broth throughout the day or make a nourishing soup out of it. Though this one may seem obvious, it’s often the hardest remedy to take seriously when a cold attacks. When your body is fighting off a cold, it desperately needs extra rest and relaxation and a break from a normally-packed schedule. Your body can’t recuperate efficiently when you ignore the cold and press on with your daily activities. Lie down during the day, excuse yourself from scheduled activities, and make sure to get to bed early. 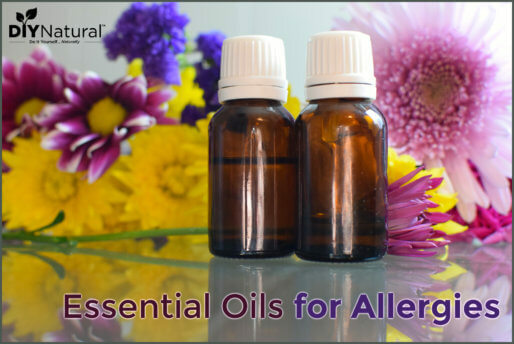 The above list of remedies is by no means exhaustive. There are many other things that can help shorten the duration and severity of the common cold. You can read more here about the role of echinacea in treating colds. You might also want to think about throwing together our Basic Cold & Flu Tea to have on hand all year long. If you’re experiencing a cough or a scratchy sore throat with your cold, these natural throat lozenges are very effective. Yet another very powerful and useful remedy is this natural homemade cough syrup that actually treats many cold symptoms. 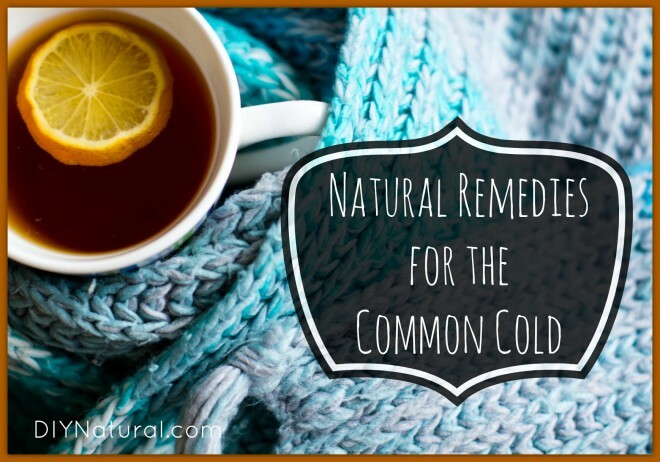 What natural remedies do YOU use to fight common colds? How much water do you use for the ACV drink? Oh, great question Jennifer. We don’t usually measure – we just fill up a glass. It probably ends up being 10-12 ounces of water. This wikipedia article will shed some light on the mother. I’m usually too sick to make my own herbal tea, so I use a commercial tea from the vitamin shoppe called Gypsy Cold Care. I suppose if I thought ahead and had the herbs already in house I’d get a better blend, but sick people often act foolishly, I’m going to check out your blend and when I’m well, I’ll get the tea put together. If this makes no sense, I blame the cold. That’s my story anyway. Love your blog! FYI, my husband is thrilled I don’t use dryer sheets anymore! (He slipped on them more than once). Thanks for all your great information! I found the ACV interesting and will try it. I do love my Super Echinacea from Herb Farm. It is a liquid that I mix with a T. of water. I take it 3-4 times a day until symptoms are gone. The trick is to take it when you first feel symptoms-listen to your body. I have avoided lots of colds through the years by using this method. So when my kids know they have a cold coming on, we heap on the Vit D. I also start them on a regimen of Echinacea and Vit C, along with caps of Melaleuca oil. For sore, dry throats my mother always made up a concoction of warm water, lemon, and honey. Sounds like a great cold-busting regimen Krystee! Thanks for the caution about oregano oil – taking it with a little OJ covers the taste and dilutes it enough to avoid burning. Hi! Thanks for the information. Can I use raw coconut vinegar instead of ACV? Thanks and take care. Great question! Although we haven’t used it ourselves, in theory coconut vinegar should work similarly, having alkalizing effects on the body and providing much needed minerals & nutrients for healing.